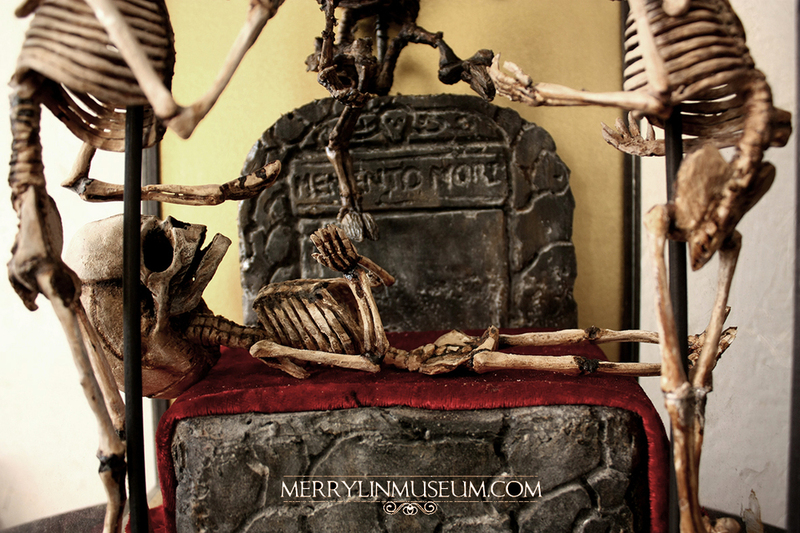 The Victorians had a peculiar fascination with the dead; it was not uncommon for a photographer to be called before the undertaker if a child died, to have said child posed with family members as though still alive. 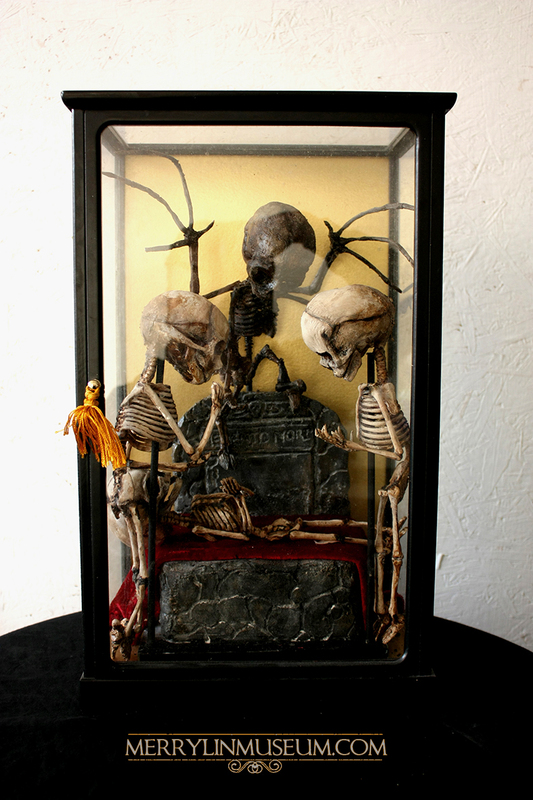 Perhaps they believed the essence was captured in the developed photograph, perhaps any morbidity we might apply to such an act now was seen as respectful to the dead - the last chance to frame that instance, that family portrait, a memento mori, evidence of our mortality. 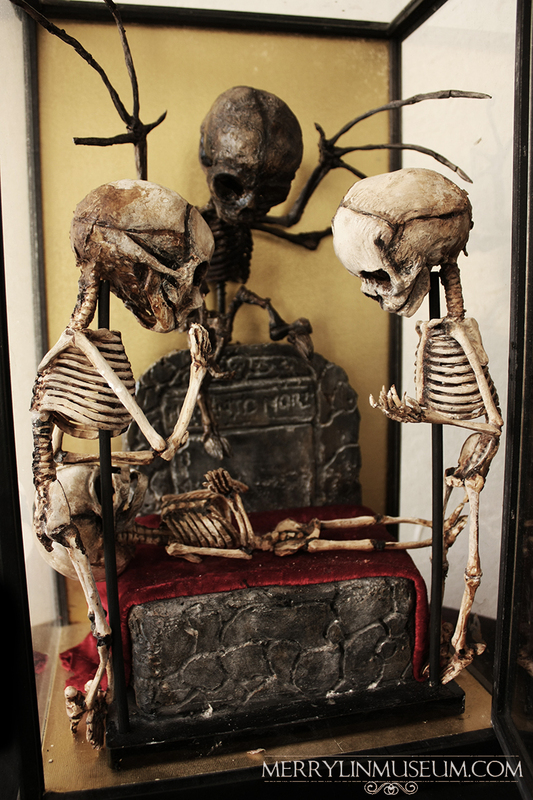 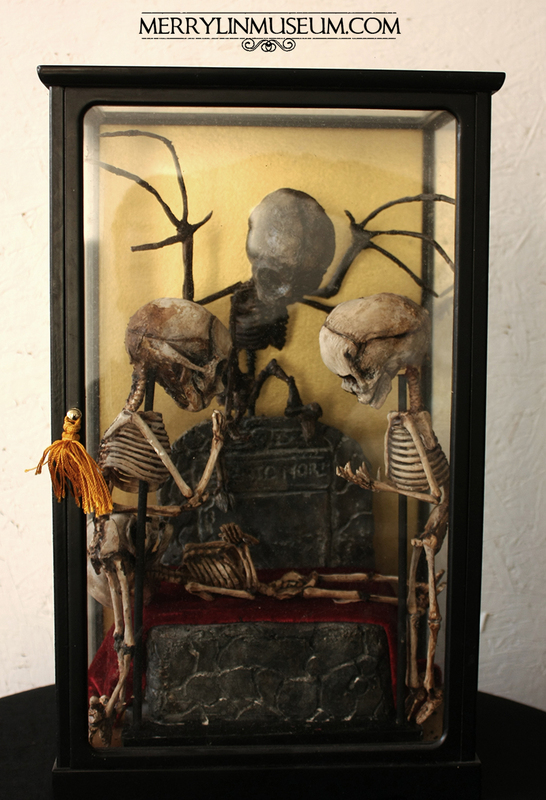 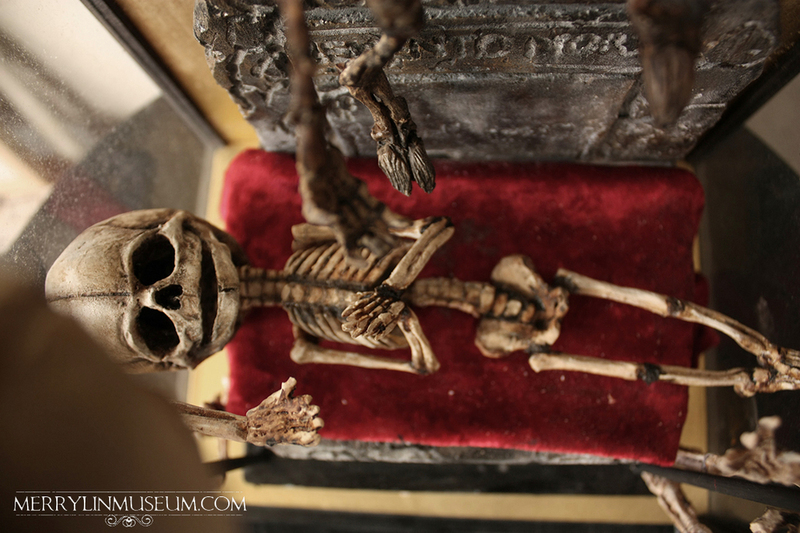 This specimen, a curious diorama constructed from various infant human skeletons depicts the funeral of a loved one. 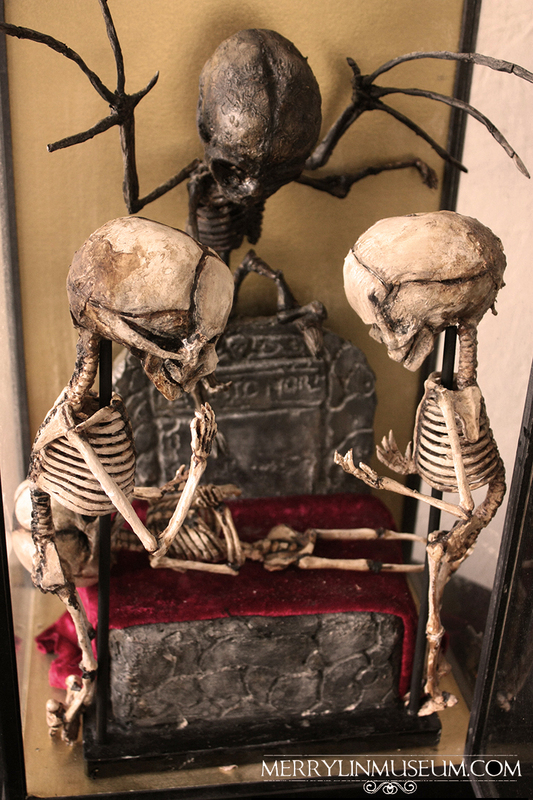 The little cadavers act as performers in a static theatre- the mourners either side of their sibling, and perched upon the grave stone - Death. 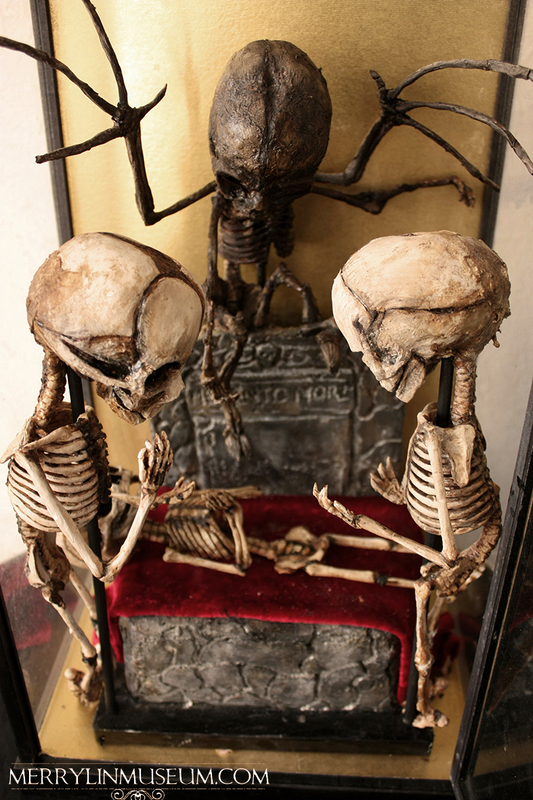 His cloven hooves and hand reaching for the poor childs eternal soul. 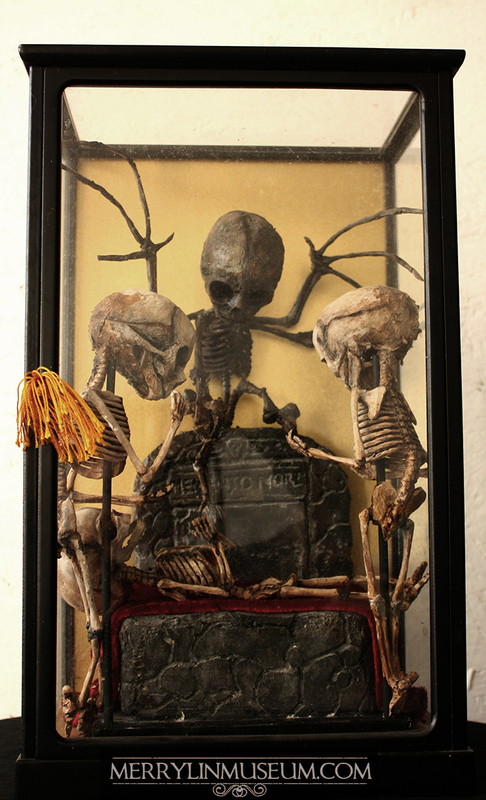 It is unclear whether the demonic creature is a construction in itself, a clever piece of taxidermy, or that the presence of bat-like wings was the motivation for this piece itself, a child born with such a malformation would see the child deified or shunned in some cultures. 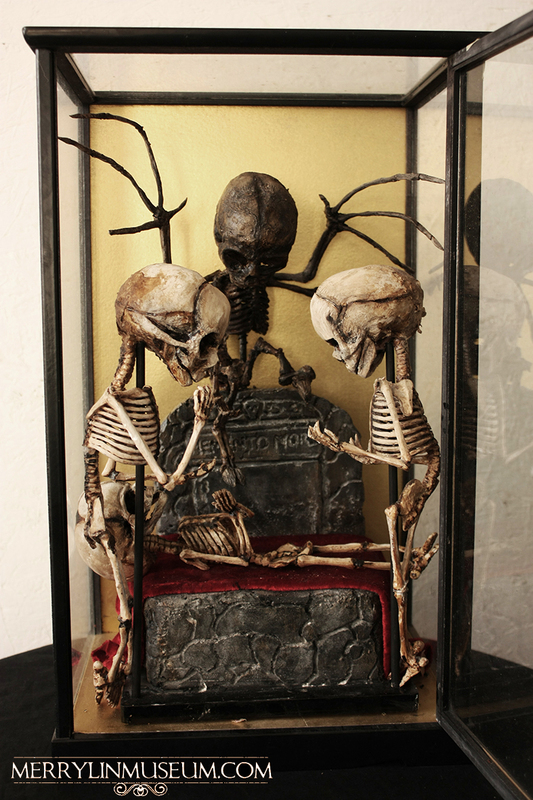 Regardless, this large display cabinet sat upon the credenza in Merrylins house alongside various child skeleton, he himself an admirer of so many morbid things.